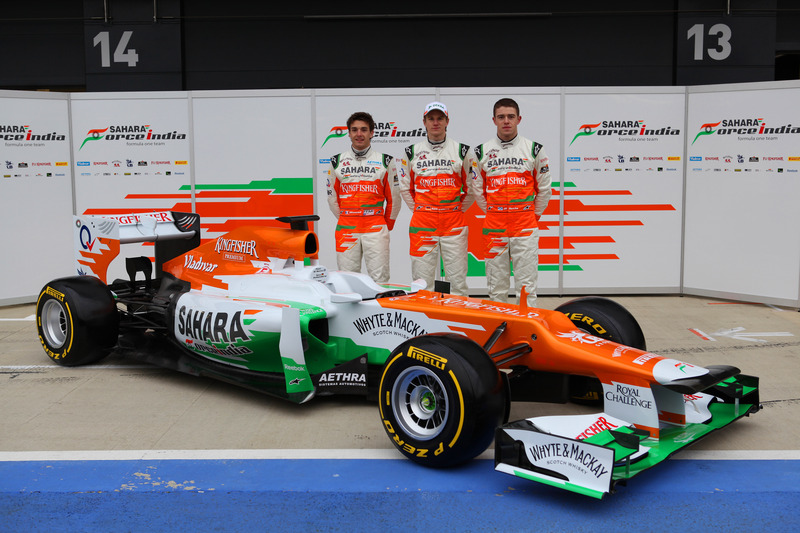 Sahara Force India unveiled its 2012 challenger today as Paul Di Resta and Nico Hulkenberg pulled the covers off the VJM05 at Silverstone. 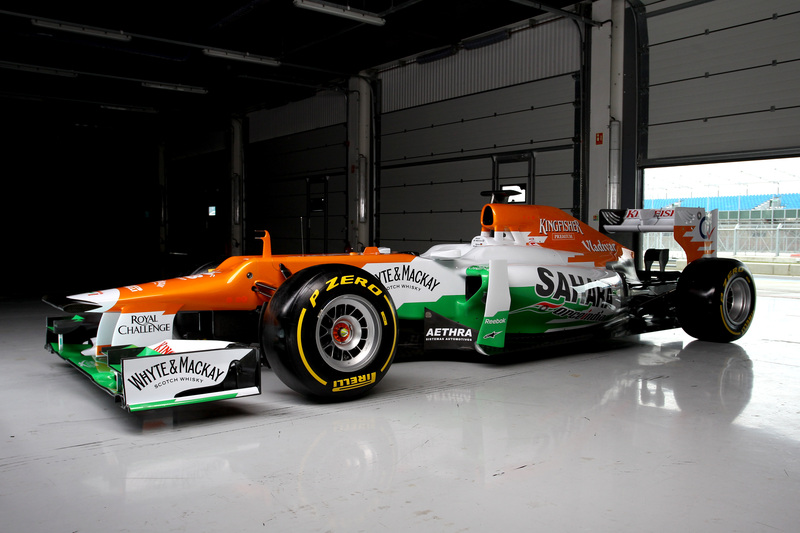 They were joined by reserve driver, Jules Bianchi, as the team’s new car was presented for the first time. The VJM05 is the second car to be created under the watch of Technical Director, Andrew Green, as the team seeks to build on its on its sixth place finish in the constructors’ championship and take the fight to the teams that lie ahead. Once again the Sahara Force India cars will be powered by the Mercedes engines with gearbox supplied by McLaren Applied Technologies. This will be the second season with the Mercedes KERS.